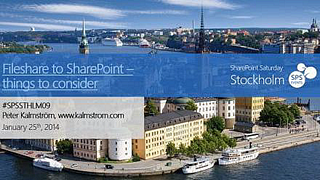 In a series of articles Peter Kalmstrom, CEO of kalmstrom.com Business Solutions and Microsoft certified SharePoint specialist, describes the process of moving millions of Office files from a files server to SharePoint. Fileshare Inventory – what files do we have? Peter Kalmström uses PowerShell to make an inventory and outputs the results in a CSV file. This way he can give the client a graphical representation in Excel. and .xls files into the modern formats introduced with Office 2007 while keeping the old "last changed" date. Peter goes through a script that creates and resets site collections. When this is automated he can quickly show the client how different options will work. This is the actual moving of files. First Peter discusses different kinds of SharePoint containers and shows how they look in SharePoint. When the client has decided on what containers should be used, Peter can easily paste the files into their containers. These files will keep their metadata. Each tips article gives a written explanation, a video demonstration, at least one downloadable PowerShell script and a link to a blog post that discusses the same subject as the Tips article. 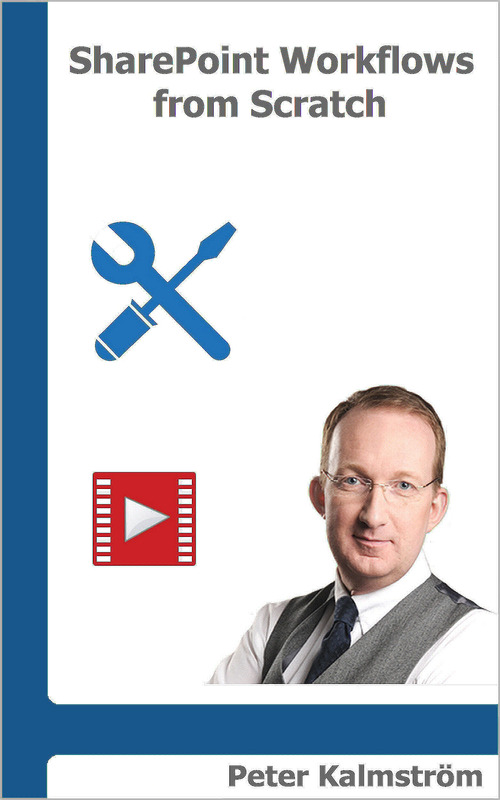 The four Tips articles build on Peter's session at the SharePoint Saturday in Stockholm in January 2014. Peter's session was very appreciated, and he was judged the second best of the 21 speakers after 96 % of his rates were positive. We hope the articles, demos and scripts will be useful to you also!